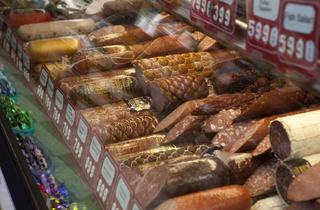 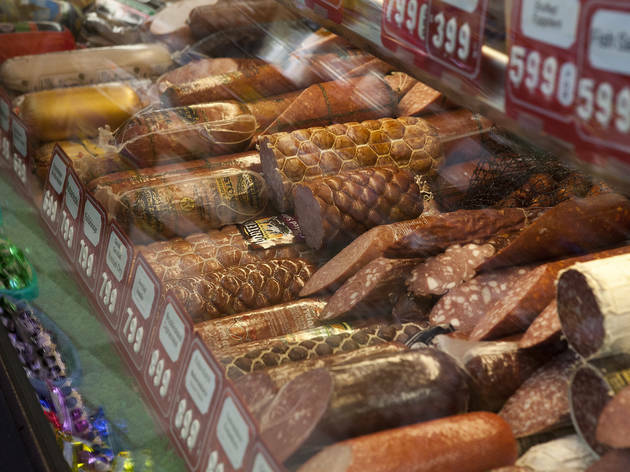 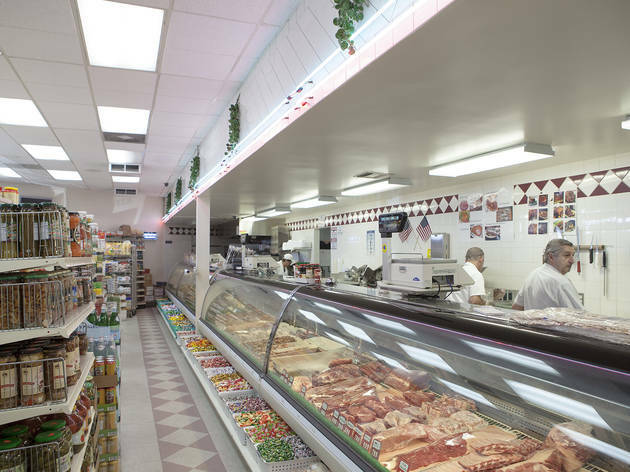 Karabagh is a market, deli and butcher shop that serves East Hollywood's Armenian community and in-the-know food (and bargain) hunters. 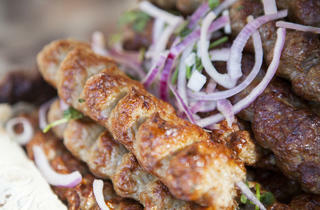 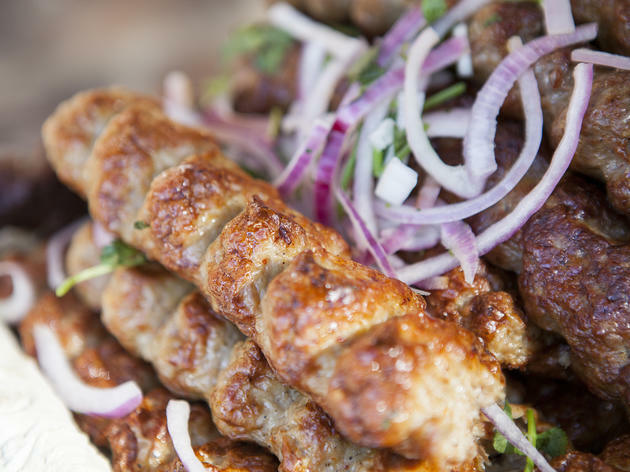 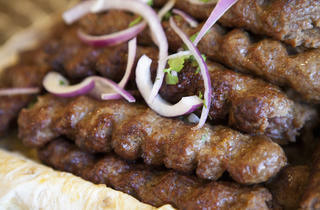 Trays of lule, ground beef or chicken kebabs, are crafted in-house and on display. 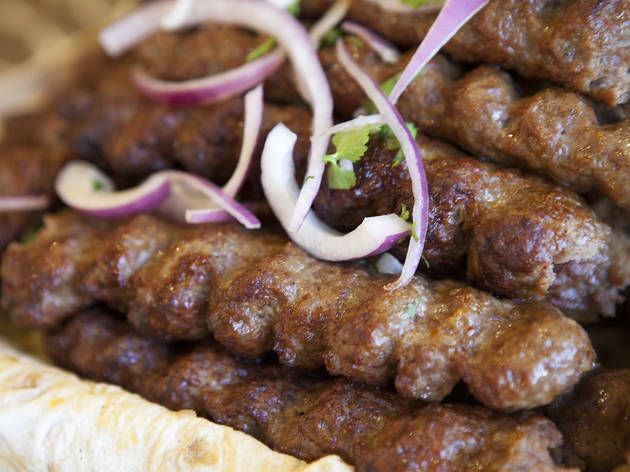 Order a kebab sandwich—juicy lule, parsley, red onion in between lavash—at the counter and take to-go or dine in at the next door bakery with coffee and pastries. 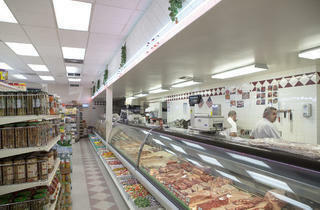 With each sandwich at $2 apiece, two sandwiches easily make an under $5 lunch.